Tell us who and what. 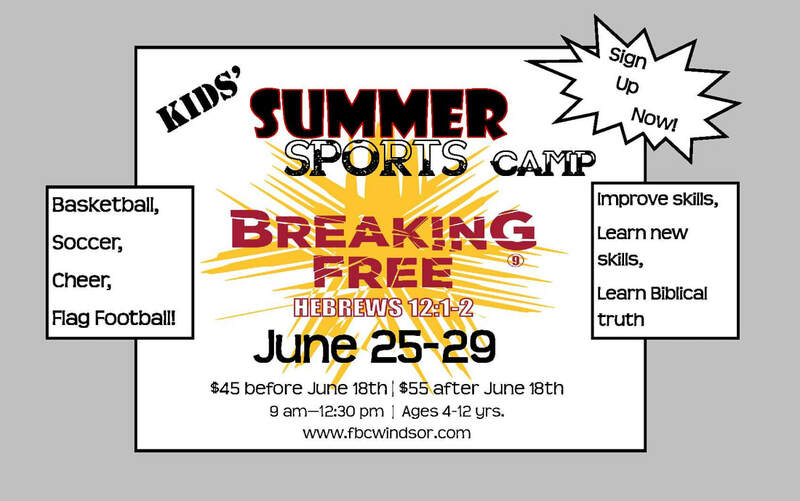 If you are paying by check, please make check payable to "FBC Windsor", and put "Sports Camp 2018" in the memo line. Please include name(s) of camper(s) in a note with the payment.